Ensemble is a multi brand designer store for more affordable fashion in India. It opened in 1987 with a aim of providing a platform to talent designers to showcase their creations. It was founded by the stunning designer Tarun Tahiliani and is today managed by Tina Tahiliani Parikh. To its credit are the names of many talented designers some of them being Bhairavi Jaikishan, Manish Malhotra, Rohit Bal, Manish Arora, Monisha Jaising, VArun Bahl. 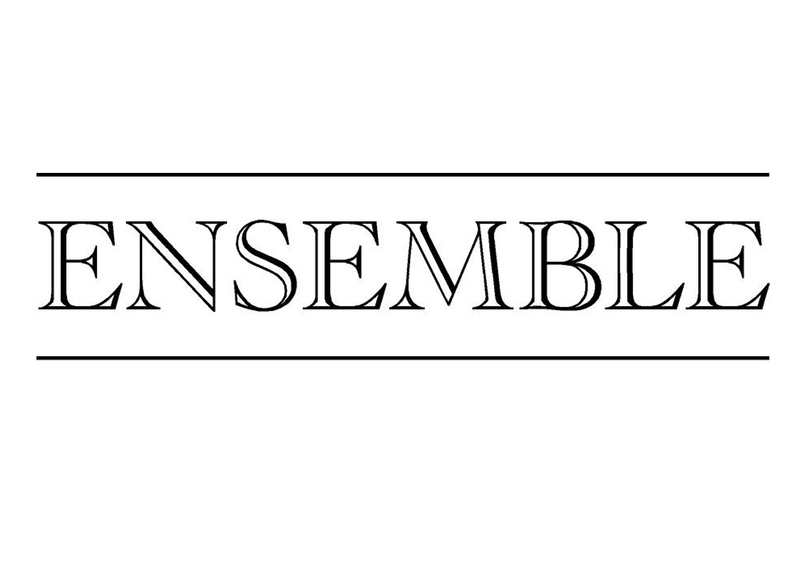 Ensemble stores are located in Mumbai and Delhi. A pioneer in the Indian Fashion Industry, Kimaya delievers luxurious fashion experience with a wide choice of labels and designs from over 150 designers including Anamika Khanna, Manish Malhotra, JJ Valaya, Rina Dhaka, Ranna Gill, Sumeet Varma, Wendell Rodricks, Rocky S, Shantanu and Nikhil. Founded in 2002, Kimaya has its presence in Mumbai, Delhi, Bengaluru, Surat, Chennai, Ludhiana, Duabi and Gurgaon. is the brainchild of Mr. Pradeep Hirani, ably supported by Mrs. Neha Hirani. It houses edited collections of the top notch designers of Indian designers and a heady mix of middle-eastern and south-east Asian and global luxury brands. Aza offers a wide range of couture, diffusion and pret collections for men and women, with an emphasis on “occasion-wear” -a must in a country that is always celebrating! More than 200 of the country’s most highly acclaimed and celebrated designers showcase their work at Aza stores, located in Mumbai and Delhi.The chain’s couture lines include collections by Anamika Khanna, Manish Malhotra, Roh…it Bal, Sabyasachi Mukherji, Varun Bahl, Narendra Kumar, and more. Aza’s diffusion and prêt repertoire includes designs from other stalwarts in Indian fashion, including Anand Kabra, Kiran Uttam Ghosh, Rajesh Pratap Singh, Cue, Savio Jon, Pankaj and Nidhi, and many more. The chain also stocks a wide range of accessories by Malaga, Crimzon, Stoffa and others. Evoluzione is the most fashionable address for people who are keen to designerwear. 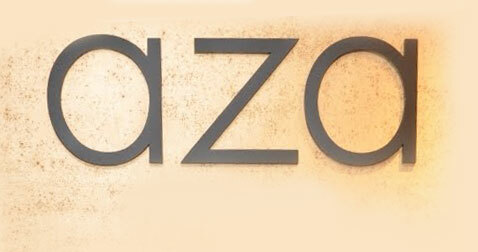 Its a high end multi label fashion boutique with its presence in New Delhi, Chennai and Bangalore. The wide spectrum between quiet elegance to embellished bespoke wear is defined by numerous ensembles and promises creations by Anamika Khanna, Varun Bahl, Abraham & Thakore, Rajesh Pratap Singh, Rohit Gandhi-Rahul Khanna, Manish Malhotra and Manish Arora. There are accessories by Malaga and Suhani Pittie and a lot else to wish for. Samsaara is a multi brand boutique store, which is aimed at the changing the method in which designer wears are retailed in India. Samsaara has been the one of the first few stores in India to have incorporated the essential luxury retail practise of window dressing. In association with Swarovski, this window was created for an effective visual impact and an attempt to assure the consumer about the stores international approach and quality. Samsaara has its presence in New Delhi, Chandigarh, Mumbai and Bangalore. The Samsaara brand of the luxury brand franchise consists of hi-end lifestyle clothing and accessory brands such as, JJ Valaya, Manish Malhotra, Rohit Bal, Suneet Verma, Shobhaa De, Satya Paul, Surily Goel, Deepika Gehani, Krishna Mehta, Raghuvendra Rathore and many more. Atosa is a multi label luxury designer store opened by Designers Aparna Badlani and Azmina Rahimtoola. The store hosts creations of well known designers like Masaba Gupta, Nachiket Barve, Wendell Rodricks, Priyadarshini Rao; and also less familiar brands like Myoho and Ravage, as well as South Asian labels Desmond Yang, All Dressed Up and Chai Gold. Atosa is quiet similar to its pedecessor Zoya. 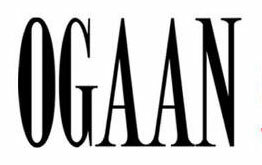 OGAAN brings together the biggest names in Indian fashion, with new, emerging talent. Kavita Bhartia started Ogaan in 1989. Much before Indian fashion found its place on a global stage, she saw the potential for Indian design. Ogaan has six boutiques in Delhi and Mumbai. Displays and styling are reminiscent of galleries or installations, making Ogaan a design experience, a canvas for Indian fashion, as much as a store. The designers for Ogaan are Anamika Khanna, Arpan Vohra, Gaurav Gupta, Kavita Bhartia, Kiran Uttam Ghosh, Meenaxi, Nakul Sen, Pankaj & Nidhi Ahuja, Pitara by Arpita Kalra, Priyanjali, Shibani Malhotra, Shyam Narayan Prasad. FUEL is India’s finest chain of fashion stores with outlets located at Mumbai, Bangalore, Ahmedabad & Pune housing collections of India’s leading designers. 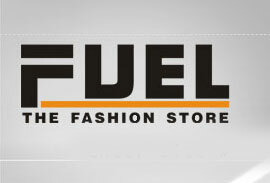 FUEL is an upmarket fashion and lifestyle store. It houses pret, diffusion, home accessories, fashion jewellery, hand bags, sarees and designer menswear. FUEL has over 65 designer at the store. The consumer at FUEL has an opportunity to select from over 1000 ensembles in a cool, spacious and chic atmosphere. Evolv is a retail concept that offers contemporary and cutting edge Indian fashion and design created in collaboration with leading and upcoming Indian designers at a Design Destination store. Evolv features an array of labels — from the quirky Manish Arora and the understated Rajesh Pratap Singh to the playful Sanchita and notice-me Malini Ramani. Other names include Rohit Bal, Jason Anshu, Rahul Reddy and Namrata Joshipura. Evolv is present in Pune, Chennai and Delhi. 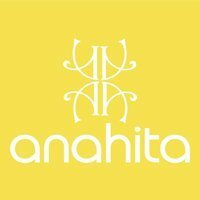 Anahita is A new multi-designer retail store which brings in a range of designers, including Rohit Gandhi & Rahul Khanna, Ranna Gill, Gaurav Gupta, Manish Arora, and Pankaj & Nidhi, Tarun Tahiliani, Anand Kabra and Delna Poonawala, among others. Anahita is a place to update your wardrobe, read up on Indian fashion, review collections and look absolutely fabulous. Anahita is present in Hyderabad. The store promises to be a one-stop shop for its patrons, as it offers complete ensembles in Indian and western wear, ranging from apparel to accessories, which exude feminine elegance. Other popular multi designer fashion stores in India are Shray, Rudraksh, White, Elan, Ahamm, Rewania, Simaaya, Vyoum, Designer Studio, Melange, Bombay Electric, Le Mill, Raintree, The Citrine, Design One, Mogra, One.